I fish a plastic minnow-like jerkbait under almost any conditions from now until the water gets real cold, and even then one will get you a few bites. The only time I don’t fish one is when the water’s real cloudy or muddy. They don’t work very well for me under those conditions. Basically, I rig my bait one of two ways. 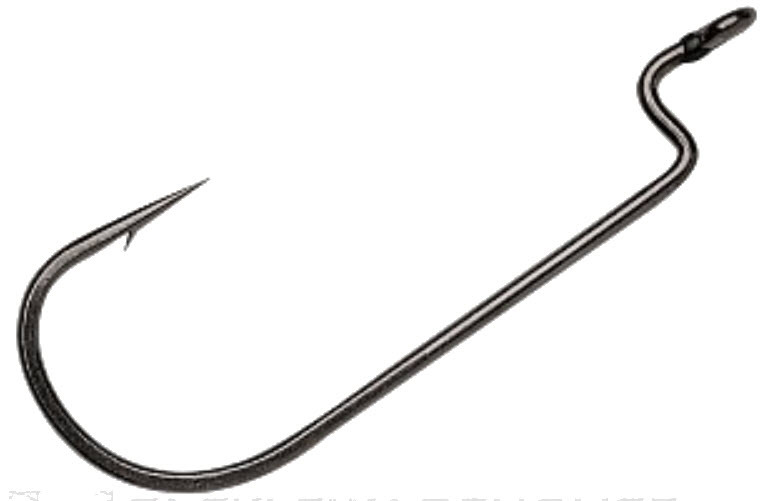 The first is with a 4/0 or 5/0 offset worm hook in the usual manner. If I want the bait to ride high and touch the surface occasionally, I’ll push the hook into the plastic all the way through the eye. If I want it to work a little deeper, I’ll leave the hook eye sticking out of the nose. How far depends upon how deep I want the lure to run. My favorite hook is the VMC Ike Approved Heavy Duty Worm Hook.It’ll stand up under any freshwater conditions and it gives my minnow a little more weight, not all that much but it’s just enough to help the lure work more naturally and make it a little easier to cast. The other way I rig one is with a keel weighted hook. That’ll get it down really deep when that’s where I need to be fishing. 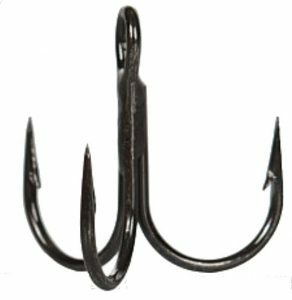 VMC makes a super keel weighted hook called the Drop Dead Weighted Hook. It’s well built with a screw-type bait-holder that’ll hold your minnow in place for many casts, and it’s sharp and preforms nicely under rough use. I highly recommend it. There is one other thing I do every now and again that I want to mention. Sometimes, especially with smallmouth in real clear water, the fish will headbutt the bait without taking it in. It’s almost impossible to get a secure hookset when that’s happening. So, I add a treble hook to my rig. What I do is thread a No. 4 VMC round bend onto the shank of the offset worm hook. I run it all the way up to the eye. I secure it there with a bobber stopper or some other rubber band to hold it in place. 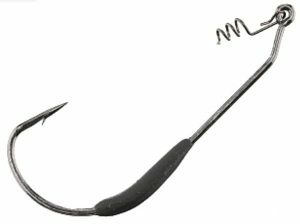 Then, when I run my worm hook through my minnow I let the treble hook operate as a stinger hook. For everything to work properly, though, it’s critical that the point of the treble sticks straight up, above the back of the plastic minnow. Get it as far back as you can, way back right before the tail is the best. Don’t worry about which model of VMC round bend you use. They make a couple of different ones. Just pick the one you like the best. You’ll be good to go. As far as colors are concerned, this is a match the hatch technique. Three or four colors that’ll cover any situation you encounter. You need a white or pearl of some sort to match shad. Something like green pumpkin or watermelon will cover bluegill and alewives. If necessary, you can always add a little orange or blue to your lure with a dye pen to make it look more realistic. The only other color I suggest is a shock color. I like pink but some guys go for pure chartreuse. One or the other will cover those rare situations when they like it weird. Those situations don’t come along very often but it’s best to be prepared at all times. I haven’t mentioned a specific Berkley minnow because they make several good ones. There are ones in the Gulp line, others in the Powerbait line and there’s at least one in the new Maxscent line of plastics. You can’t go wrong with any of them. If you actually forced me to pick a favorite, it’d be the Powerbait Jerk Shad, but not by much. Plastic minnows are great lures in the fall. 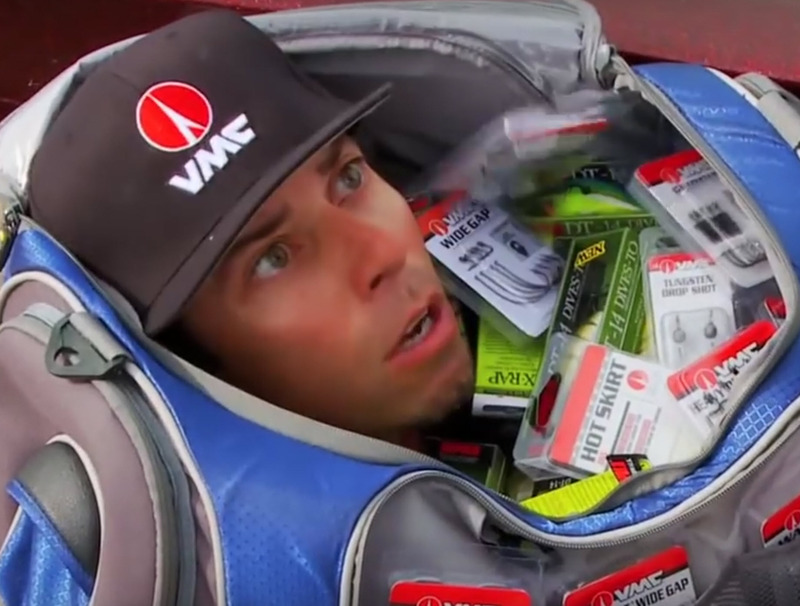 They’re inexpensive, easy to rig, handle easily in the boat and, best of all, they catch big bass. Fish one this fall. See if I’m not telling it right. Have a good laugh watching is short clip about VMC.